Elis Springback Tee Testimonials | American Made.Handmade.Built Strong. 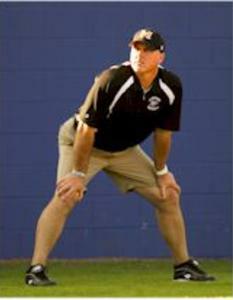 “After coaching at the collegiate and professional levels for the past 29 years. The Eli’s Springback Tees truly allow us to develop our hitter through numerous repetitions because of its consistent durability and tremendous functionality. Because of this we are sure to buy 8 new tees before each fall begins. “We need a tee that is functional, versatile and durable due to the quantity and specific drills we take. It’s assembly and breakdown make it easy to use and travel with. Our players and coaches love it and you will too. It will be the last tee that you ever purchase. 3 National Championships in 5 year span. “I first purchased the Eli’s Springback Tee many years ago. Since that time, it is the only Tee that Iowa Western Baseball uses. We have had great success nationally as a northern juco baseball program. A lot of that success is due to our countless practices and how much our team hits. The Eli Springback Tee has a lot to do with that success. If you want to practice and work on your skill set, you need the best equipment possible.